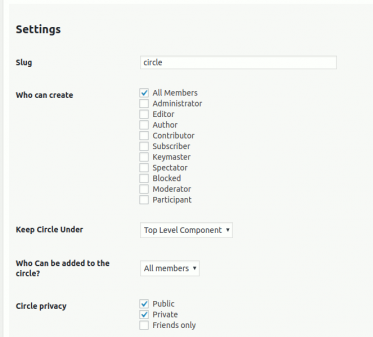 BuddyCircles:- The BuddyPress User Circles plugin is an add-on for BuddyPress. 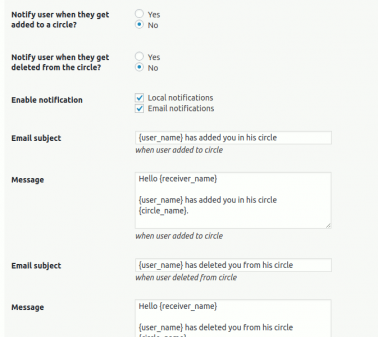 It allows a users to create lists of users, e.g. Family, Close friends, Colleagues etc. 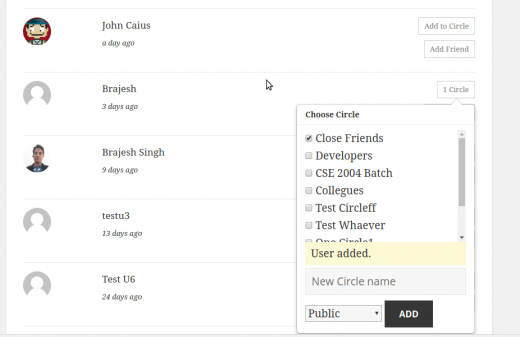 Allow users to create circles of users(or lists of users). Limit circle creation by roles. Configure if circle will be a top level tab or be managed under friends component. Restrict who can be added to the circle:- Friends or all members. 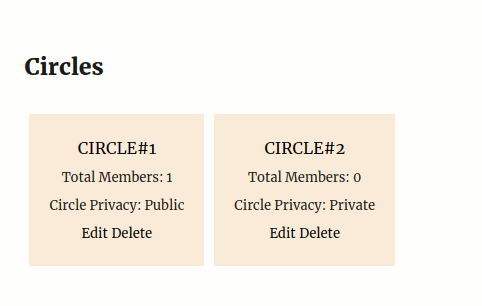 Automatically create default circles for newly registered members. 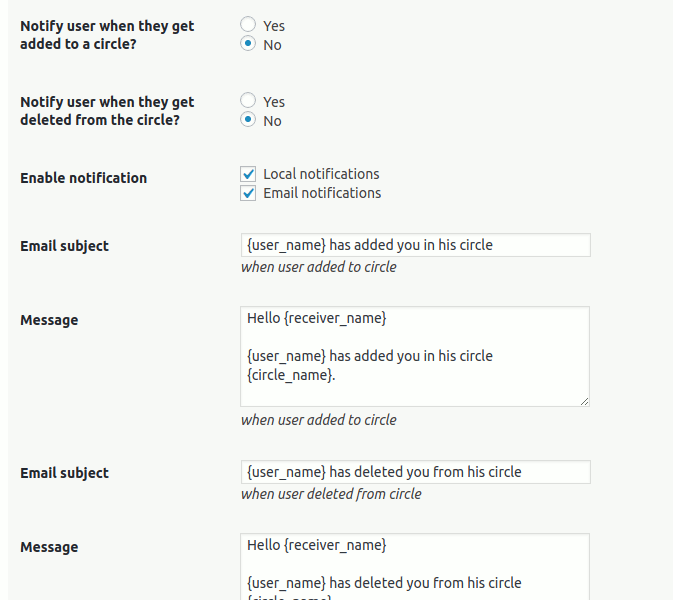 Control notifications for add to circle or remove from circle. 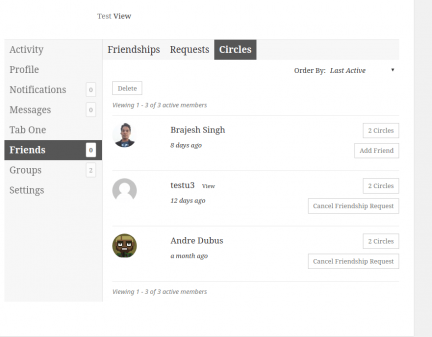 BuddyCircles is most suitable when you want your users to have the ability to create multiple lists of users and optionally follow their activity. 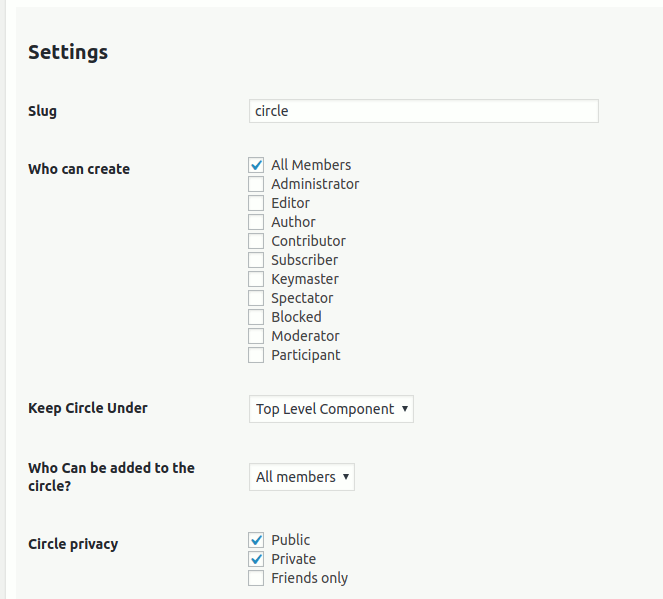 Circle can be created from the popup that allows adding user or the user can also create it from their profile circles page. Single Circle:- It lists all the users in that circle.